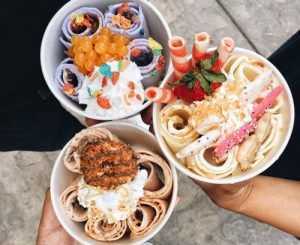 Learn about Thai rolled ice cream near you as featured in cities like NYC, Las Vegas, Houston and San Diego. 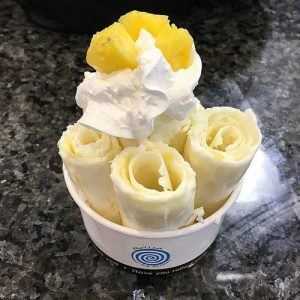 What is rolled ice cream? 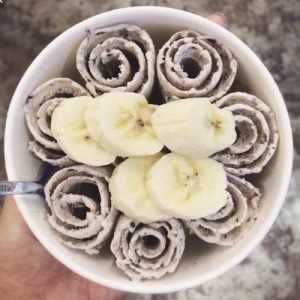 Rolled ice cream (a.k.a. 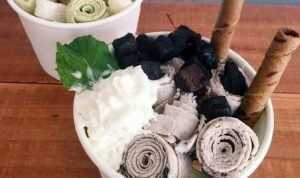 stir-fried ice cream, ice pan ice cream, and ice cream rolls) is a form of ice cream that is shaped into several rolls. 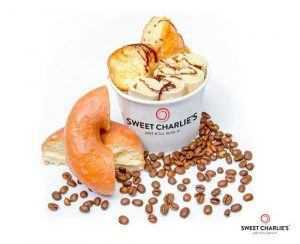 It’s a creamy liquid custard mixed and chopped with other flavors and ingredients (e.g. 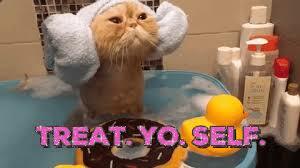 strawberries, candy bars, cookies, etc.) until they are fully and evenly incorporated. 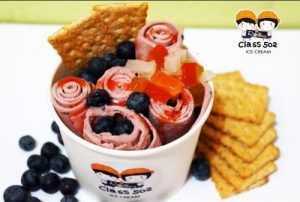 This liquid mixture is spread and flattened on a frozen metal plate with a metal spatula and scraped into rolls that are typically placed vertically in a cup with assorted toppings. 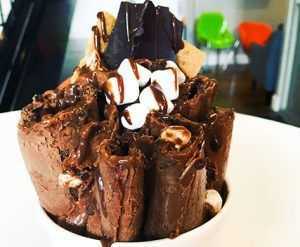 Looking for more places that serve rolled ice cream? You can find them on Glutto right here. How can I make it? If you can’t get to any of the places above, or just want to try your hand at this mystifying process, we’ve got a recipe for you to follow. You can also save it for later on Glutto here. First of all, make sure you have the right equipment and ingredients. Use your scraper to continuously spread the liquid evenly over the slab until it’s frozen. 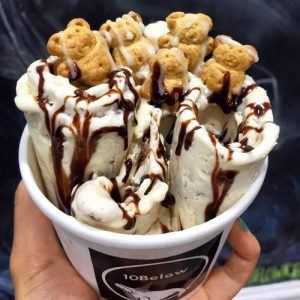 Use your scraper to scrape the ice cream off the slab by pressing the edge of the scraper down and away from you. 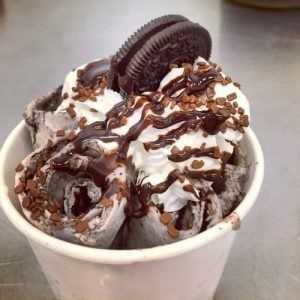 Keep scraping from one side to the other until all the ice cream is rolled. 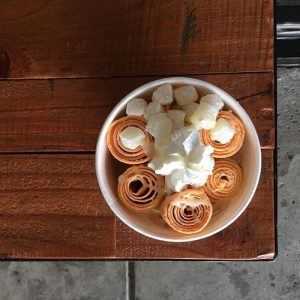 Place the rolls in bowls so they sit vertically. 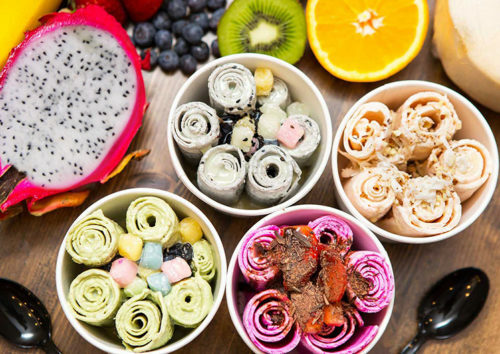 Cover the ice cream rolls with your toppings and dig in!